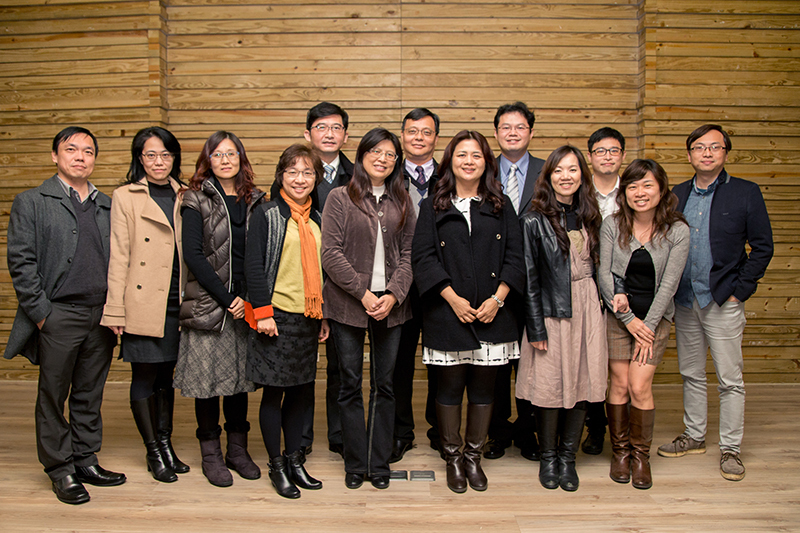 GIS.FCU falls under the purview of the College of Construction and Development at Feng China University. GIS.FCU boasts an organized research team comprising of more than 60 professors and consultants from national universities. In addition, the center owns more than 150 full-time staff members from multifarious fields, such as Civil Engineering, Architecture, Urban Planning, Land Management, Mathematics, Geodetic Surveying, Landscape, MIS, and Hydraulic Engineering. 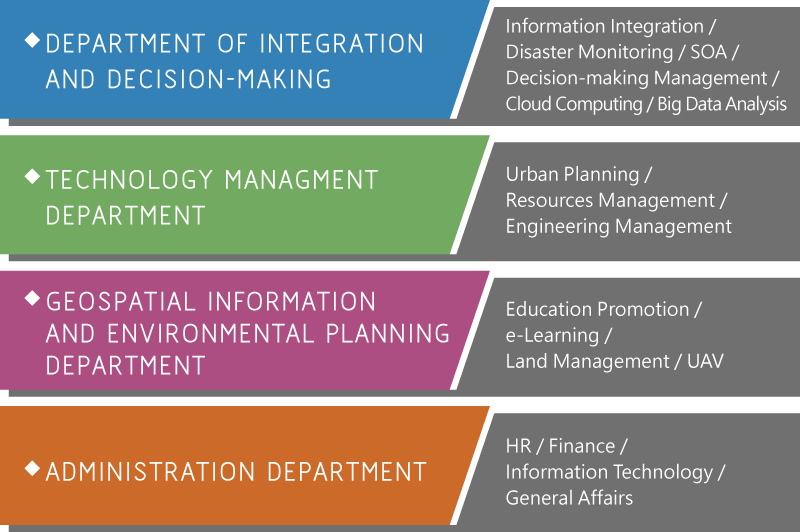 Based on employee expertise and project requirements, GIS.FCU has been divided into four divisions, including Integration and Decision-Making Management, Technology Management, Administration Management, Geospatial Information and Environmental Planning divisions.